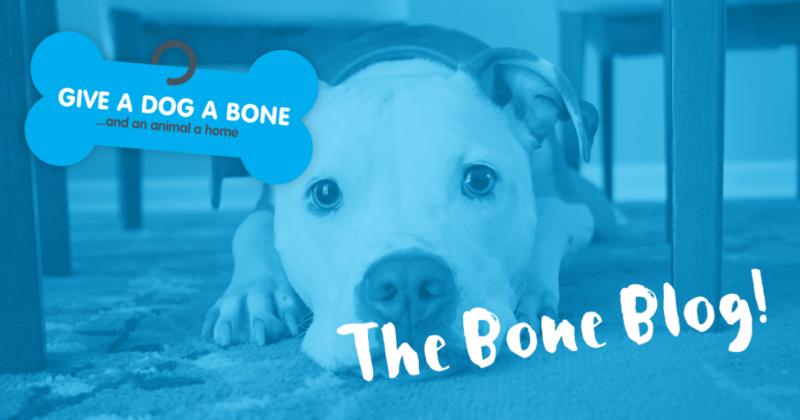 Welcome to our new monthly Bone Blog – bringing you topical information and the latest news from the Charity! Dogs have long been utilised for physical assistance, with the first documented service dogs being used in 1863, during the Civil War in America… but what about emotional help? Animal-assisted therapy is increasingly popular here in the UK and us pet owners know that our animals are a source of love, comfort and companionship. Their presence alone can help us relax and lift our spirits! 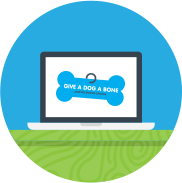 There have been a variety of studies to assess the emotional support our canine companions provide and we at the ‘Give a Dog a Bone… and an animal a home’ charity certainly don’t need convincing about the many benefits! The Society for Companion Animal Studies was founded in Scotland in the late 1970s and this organisation have spent the past 30 years researching the health and well-being benefits of human-companion animal interactions. The National Centre for Health Research found that having a dog in the same room lowered blood pressure better than taking a popular type of blood pressure medication (ACE inhibitor), because the rhythm of petting or grooming an animal is comforting!! Oxytocin – the hormone related to stress and anxiety relief – is released, helping to reduce blood pressure and lower your levels of cortisol. And, according to the Mayo Clinic, animal-assisted therapy can also help healing and lessen depression and fatigue! ….and quite simply – an animal allows you to love and feel loved!! We will be holding a Psychic Night Fundraiser at the Redhurst Hotel in Glasgow on the 02 June. Come along and show your support or donate a raffle prize!